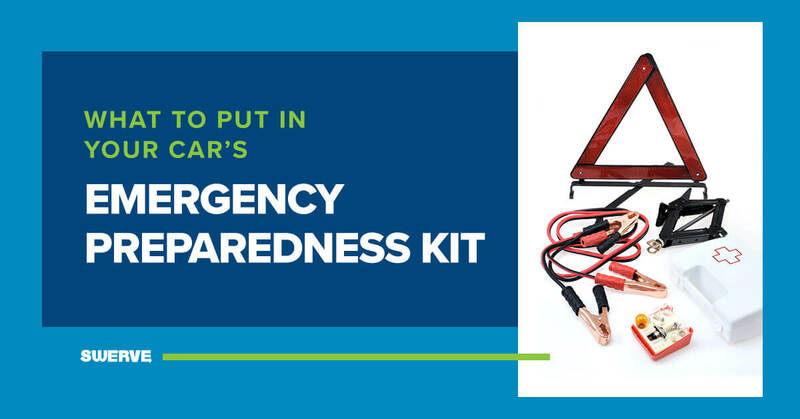 Making an emergency preparedness kit for your car is so important that you should put one in each of your family’s vehicles. When putting together your kit, there are three categories of items you should consider; medical, breakdowns, and emergency supplies. Medical emergencies can happen any time, any place, even in your car. If you get in a car crash or drive up to crash, you will be glad that you have some basic medical supplies on hand until help arrives. Store all items in a container that closes securely. Rotate items that have an expiration date and keep the kit in your car. Even if you don’t know how to fix your car, it is a good idea to keep these items in it so you have the things you need if someone pulls over to help you. Some items that are good for your car for unanticipated emergencies are bottles of water, long-lasting food items, and extra clothing. If you are ever stranded or find yourself in a remote area, it is a good idea to have bottled water for drinking, pouring in your radiator, or washing off an injury. In this instance, you might need food as well, so consider keeping granola bars, jerky, crackers, or other items that last a while in your car. Extra clothing such as a poncho, sweatshirt, jacket, socks, or even some extra shoes for if you need to layer up or walk a long distance for gas. Depending on where you live, there are other items you should consider. Live in a snowy environment? Add an extra ice scraper to your back seat and pack some extra blankets. If you live in a hot climate, make sure you have a lot of extra water in your car and a hat. The time of life you are in is also something to consider. If you have a young family, keep an extra pack of diapers, some formula, and toys in the car. No matter what you include in your emergency preparedness kit, just be sure to pack one and be intentional about your items.